Close to my Heart's Deal of the Day for Monday, 15th June is a FREE Designer Ribbon Round Ricrac Collection ($9.95 value!) for free with any A,B,C,D or E size Acrylix stamp set purchase! Ricrac is such a fun element to add to any card, project or layout. You can use it for stems on a flower, edging on a card, tie off a knot at the top of a bookmark, etc. What I like about ricrac is that you only have to make one knot in it - the zigzag of the ricrac keeps knots from coming undone so embellishing with it is a snap! 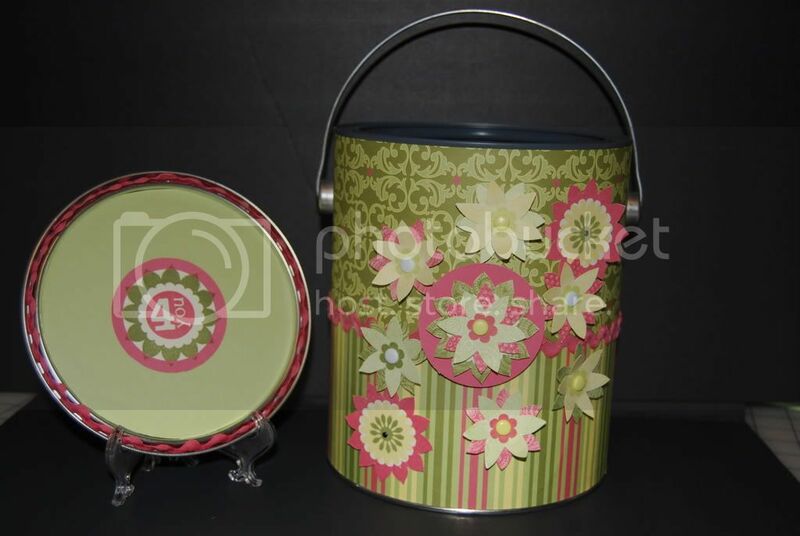 Above is an altered paint can I made with Boom-Di-Ada Creative Basics kit and the adorable "Cottage Floral" B size $13.95 stamp set! This is a very versatile stamp and one of my favorite florals. Pair it up with our Deal of the Day and you've got a terrific deal! There is Hollyhock ricrac around the belly of the can as well as in the groove at the top of the paint can. Love the ruffley look! As mentioned in a previous post, I like to use Tombow on the back of my ricrac rubbing off the excess adhesive but you can also use glue dots to adhere and also liquid glass. One tip I received from another consultant is to put a little liquid glass on the area you want to adhere the ricrac to then put a little on the back of your ricrac. If you go lightly the "glue to glue" bond of the liquid glass will keep the ricrac on without soaking through your ricrac. Give it a try on a piece of scrap and let me know what you think!